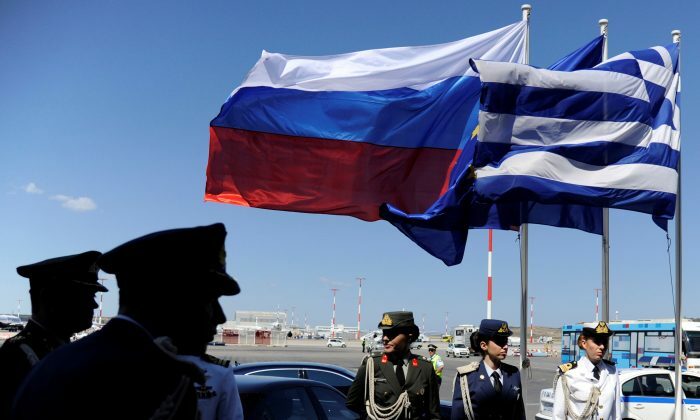 MOSCOW—Russia will expel two Greek diplomats in response to Athens’ decision to throw out two of Moscow’s envoys, Russian news agency RIA reported on Wednesday, citing a senior lawmaker. Greek media reported earlier that Athens had decided to expel the Russian envoys and ban entry to another two over suspicions they had tried to undermine an agreement with neighboring Macedonia. The Greek government did not respond directly to the reports but its spokesman said it would not tolerate any behavior which violates international law. None of the reports said whether the expulsions had actually taken place, although the Greek spokesman suggested some kind of action had been taken. Greece’s Kathimerini newspaper said Athens authorities ordered the expulsions after suspected attempts by the Russian diplomats to undermine an agreement Greece brokered with the former Yugoslav Republic of Macedonia last month which ended a decades-old diplomatic standoff over its name. Kathimerini said Greek authorities were investigating the intrusion into domestic policy issues and quoted diplomatic sources as saying the suspicions were solely focused on those four individuals. Greece’s Skai TV also reported Athens had decided to expel the Russians. A member of Russia’s upper house of parliament, Andrei Klimov, said Russia would expel two Greek diplomats in response, without mentioning Macedonia or going into further detail about the reasons for the actions. “It is within that framework, and whenever required, measures have been taken. That has also occurred this time,” Tzanakopoulos said. Greece has long said Macedonia’s name implies a territorial claim over its northern province with the same name and has previously blocked its neighbor’s attempts to join NATO. After a period of political crisis, the two governments have agreed on the name of Republic of North Macedonia, though that still has to be put to a referendum in the Balkan state.